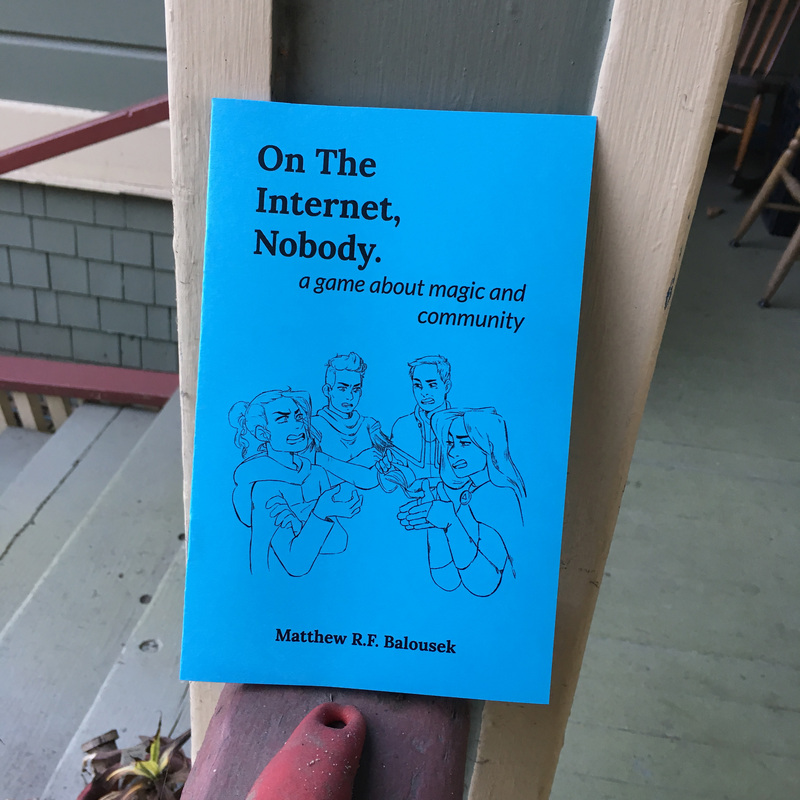 On The Internet, Nobody. is a tabletop roleplaying game about communities and gatekeeping. It was designed by Matthew R.F. Balousek (itch, twitter). The cover art is by Caelum N. Rutter (twitter, tumblr). One player takes the role of a moderator for a small internet forum, while the other players take on the role of members. Players work together to ferret out the undesirable members of the community as they go about posting on the forum. Number of Players: A small gang (4–10 players). Time to Play: Approximately 30 minutes. Required Materials: A standard deck of playing cards, blank index cards, writing utensils. 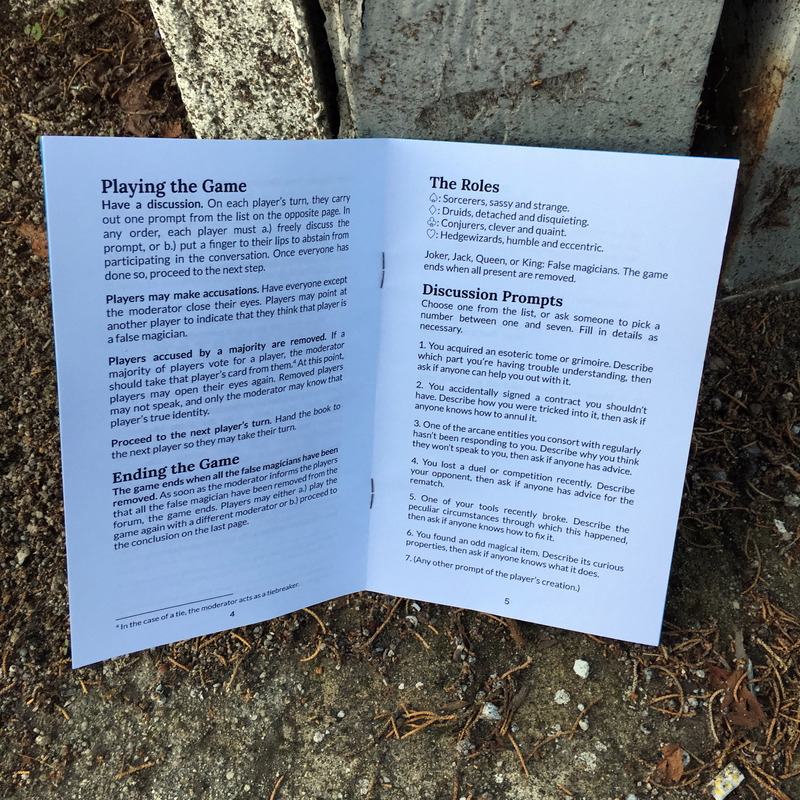 Format: 12-page booklet (5.5 x 8.5 in). Opening the Horse Vols 0, 1, and 2—an approach to queer game design.